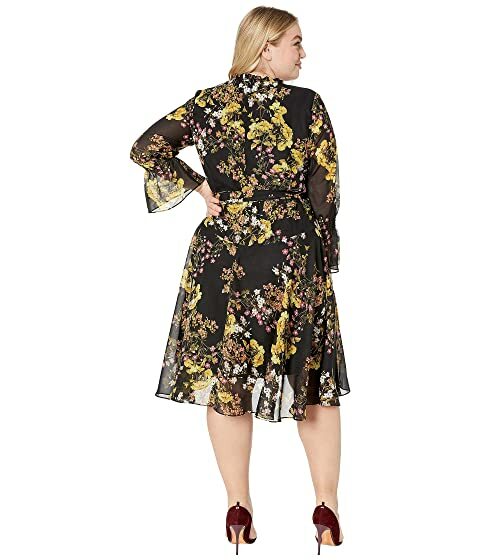 Your style will be in full bloom in this Tahari by ASL® Plus Size Side Wrap Printed Chiffon Dres. 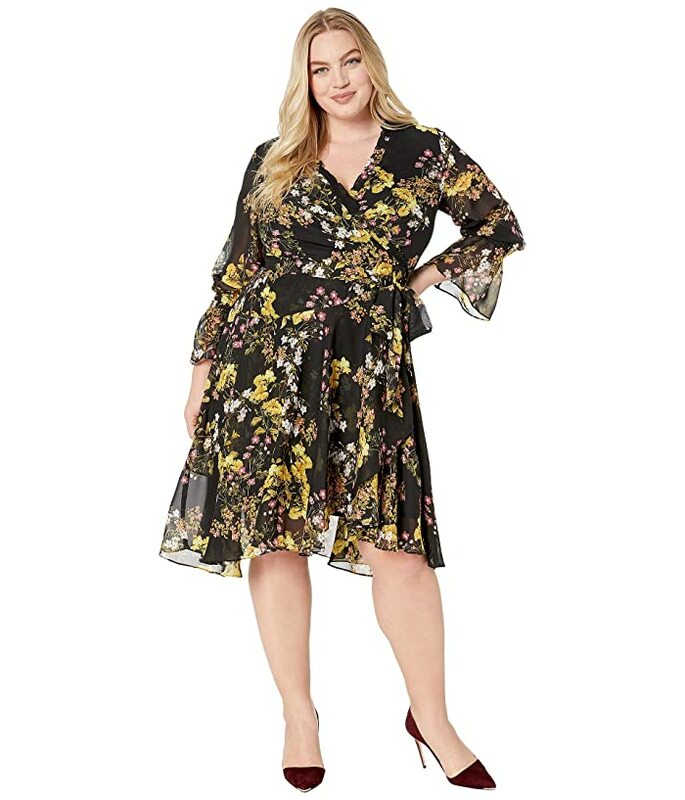 Day dress in a flattering wrap-inspired silhouette. 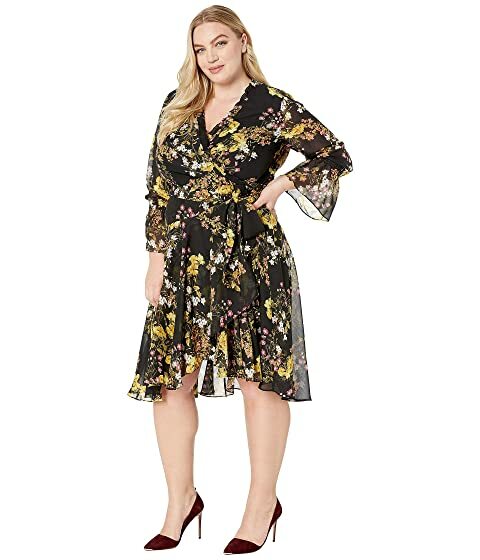 V-neckline and long sleeves with flared cuffs.